Nowadays, finding the right hotplate stirrer can be a tedious task. This is because there are a lot of products available now. Before you choose a product for your laboratory, it's essential to learn more about it. A hotplate stirrer is a device used in laboratories and its primary function is to spin or rotate a container of liquid quickly to stir its contents. Such devices are typically used in biology and chemistry. They're quieter and more efficient than motorized stirrers driven by gears. Hotplate stirrers are also smaller and easier to maintain. That is as compared to other devices used for stirring. They also include a hotplate which is essential for heating the samples. This is the first thing you need to find. Think about your goal for using such a product. Think about the uses of the hotplate stirrers and the volume and type of samples you'll use the stirrer for. Just like any other product, all hotplate stirrers aren't made equally. Such products have the same primary purpose. But they would each have different features. For instance, some stirrers can only mix a single vessel at a time in a unique position on the hotplate. On the other hand, the more significant models may be more versatile. So, you need to think about how many samples you'd typically need to process each time. Regarding size, also think about the space in your laboratory. One main feature of hotplate stirrers that a lot of people appreciate is their handy sizes. Although you may want a device which can handle more samples, it would be useless if it can't fit in your workspace. Usually, those who work in big laboratories need bigger models. This is because of the full requirements and activities of their profession. A lot of times though, many home users choose the handy hotplate stirrers for specific purposes. If you're one of these users, then a smaller-sized unit may be enough for you. These are important factors to consider when purchasing a hotplate stirrer. This is especially true if you need one for home use. Look through the product's specifications and check if it has user-friendly features. For instance, would you prefer an analog controller or a digital readout on your device? You should also focus on the heat sensor feature of hotplate stirrers. This is important so you can keep track of the temperature while it's processing a liquid. Such convenient features will make it easier to work with the device even from home. 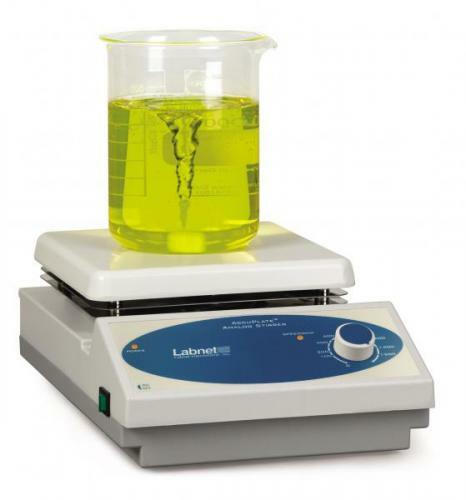 When it comes to purchasing a hotplate stirrer, you need to think about a lot of things. It's also better for you to buy the unit from a reputable source. One which will give you a warranty for the device in case you encounter any problems. Aside from this, it's also important to learn all you can about the device. Do this before getting one for your home or laboratory. To help out, there are some frequently asked questions about hotplate stirrers.